No one would have imagined years ago that we would be paying for water by the bottle. Drinking water straight from your tap was common place and all that anyone knew. Fast forward to today and bottled water is all the rage. While some people insist they can taste the difference from brand to brand, others opt for water with bubbles and others like it flat. And to make this industry that much more interesting, artificially sweetened and flavored waters have also found a place on shelves everywhere. Just when it seems this market is just about tapped out, there is a buzz about infused and detox water. What is all the fuss about bottled water? And really what is the truth about infused or detox water? The importance of staying hydrated is nothing new to most people and the way to do this is to be sure to drink water. For those who are exercising or playing intense sports, it can require even more work to stay hydrated. Your body uses water in many different ways, including in cells and organs, to regulate body temperature, for vitamin absorption, as well as digestive and bowel health. Your body loses water through sweating, breathing and digestion, so it is very important to rehydrate by taking in water and foods that have a high water content. So whether you prefer tap or bottled, flat or bubbles, plain or flavored, there is no denying that water plays a critical role in overall health. So what is with the latest hype about infused or so-called detox water? Does it really do anything “magical”? Infused or detox water is created by having added natural ingredients that are supposed to boost the health value of the water itself. While there are a variety of types, it typically is infused with flavors of vegetables or fruits, as well as with herbs. As it only contains the flavors, the water contains minimal if any additional calories. It is believed that this detox water will rid your body of toxins, improve digestive health, improve mood and complexion, aid in weight loss and boost your energy. The combination of ingredients in detox water can vary greatly. Among the common combinations are: cucumber and mint, lemon and ginger, lemon and cayenne pepper and grapefruit/orange and rosemary. 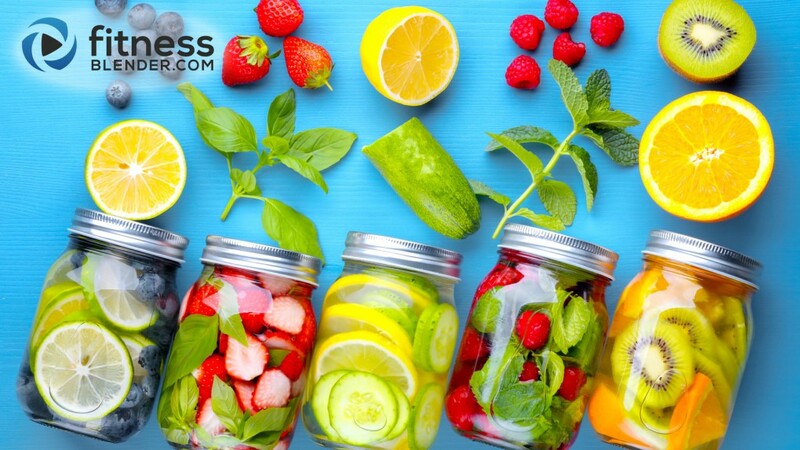 When preparing the detox water it is often recommended to crush the fruit or herbs to release additional flavors, as well as to maximize the health benefits. So what is the real story behind the health claims? First, it is important to recognize that water itself is the rationale behind many of these claims. When you look at the science behind being hydrated, by taking in enough water, you will find similar health benefits. Any type of water has long been found to help move our bowels which in turn helps our gastrointestinal and digestive health. As water is calorie-free and is used to curb appetites, it plays a role in achieving weight loss. Being hydrated plays a proactive role in our skin health, as well as our complexion. Additionally water intake keeps us energized as it feeds all of our bodies organs and cells. What about the additional detox claims? These are the claims which have made detox water popular among those who are looking for quick weight loss regimens and cleanses. These additional claims include: detoxing the body, balancing pH, and rapid weight loss. Detox waters claim that they will eliminate toxins from the body, while at the same time aid in rapid weight loss. The use of these infused waters is supposed to enhance the detoxification process, however there is no scientific evidence to support this. In fact, our body naturally already rids itself of toxins. There are no products currently on the market that have been proven to work more efficiently than water itself. There is a popular belief that if your body would be healthier and ward off disease processed if it had a more alkaline environment than an acidic one. Many diets support this belief by promoting foods and drinks, such as detox water, which “supposedly” alkalize the body. Scientific studies to date show that it is however impossible to alter the bodies pH through foods or drinks. Therefore, this theory of detox water as an agent to change the pH is unfounded. To achieve weight loss, one must consider calories in and calories out. The bottom line is that this depends mainly on food intake and exercise. As previously stated, water is calorie-free, aids in digestion and bowel health, as well as works to keep us full. So yes, in fact, water can help in achieving weight loss, however, the additional flavor enhancers in infused or detox water do not make a significant difference. By adding herbs or flavors it may help one to enjoy the taste, or help to promote some ease in digestion, however it does not enhance the rate of weight loss. The bottom line is that water is the true powerhouse when it comes to hydrating your body. To truly get the nutritional benefits of any fruits or vegetables you have to consume the actual fruit. So while infused and detox water may taste delicious, it does not have any true magical health benefits that you can’t get elsewhere. FB Note: While the health claims of fruit infused waters is not backed by research, anything that helps you drink more water is a good thing. If you find that adding fruit to your water helps you drink more of it, then you should keep doing what works for you. However, there is a big difference between that personal preference and the health claims put out there by some fitness bloggers and water companies.